The kidneys are two bean-shaped organs that are located against the back muscles in the upper abdominal cavity. The two kidneys sit opposite each other on either side of the spine. The right kidney sits a little lower than the left to accommodate the placement of the liver. 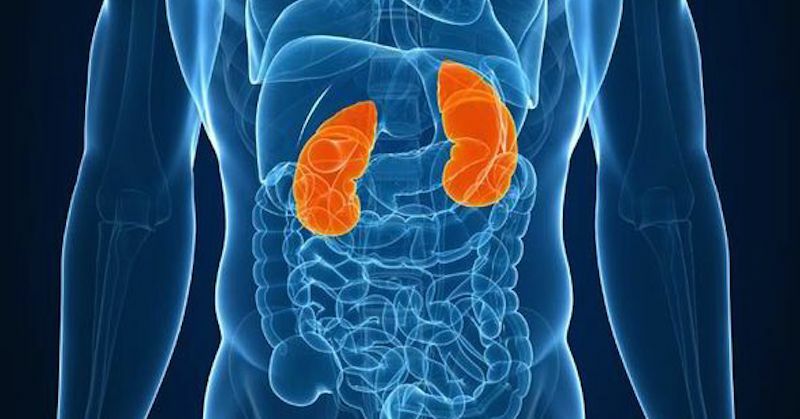 Due to their many functions that also involve processing and eliminating wastes, the kidneys are susceptible to various problems and diseases. Many factors can contribute to kidney diseases. Kidney diseases are oftentimes triggered by various other chronic health conditions that put a strain on them. Some of the common causes are: Hypertension, infections or diabetes. This requires regular testing of your blood pressure and glucose levels to keep the kidneys healthy. Alcoholism, smoking, unhealthy diet and lifestyle, insufficient physical activity and excessive use of medications, all cause kidney problems. The first symptoms are usually notable when kidneys fail to perform their functions and the urine is loaded with protein. Unfortunately, we often neglect those symptoms that indicate a kidney problem in its early phase. You have to pay more attention to your health, and consider taking care of any symptom before your condition gets worse. If not treated properly in the early stage, any of these symptoms may lead to kidney malfunction. Important read about how you can prevent formation of kidney stones. Improper kidney function leads to other health issues. Diseased kidney parts cannot restore their normal function. Strengthen your health and prevent serious problems by treating these symptoms. Are you taking any acid reflux drugs? Use castor oil packs to break down kidney stones. Drink watermelon rind juice to break down kidney stones and stop urinary tract infections. Make parsley juice to treat and detoxify kidneys, dissolve stones. Perform a kidney cleanse: what to juice and eat for a good flush.